No matter how you play it, the history of The Sea Pines Resort is inextricably tied to golf. After all, it was the Heritage Classic PGA Tour Tournament that first propelled the resort to worldwide prominence. Boasting an ideal climate and personalized service, The Sea Pines Resort offers three premier courses for unforgettable Hilton Head golf vacations — each with its own signature character. Experience Harbour Town Golf Links named one of the top 20 courses in the country by Golf Digest and Golf Weekly, named #14 among America’s 100 Greatest courses you can play by Golf Digest, and named #39 in Best 75 golf resorts in North America. Legendary golf course architect Pete Dye led a multi-million dollar redesign project to create The Sea Pines Resort’s newest golf course, Heron Point. Play the timeless Ocean Course recently renovated by Mark McCumber, showcasing a panoramic ocean view, deep bunkers and lagoons. Harbour Town Golf Links is one of the most distinguished PGA TOUR Golf Courses. It is part of Sea Pines Resort and home to the prestigious Verizon Heritage golf tournament each April. 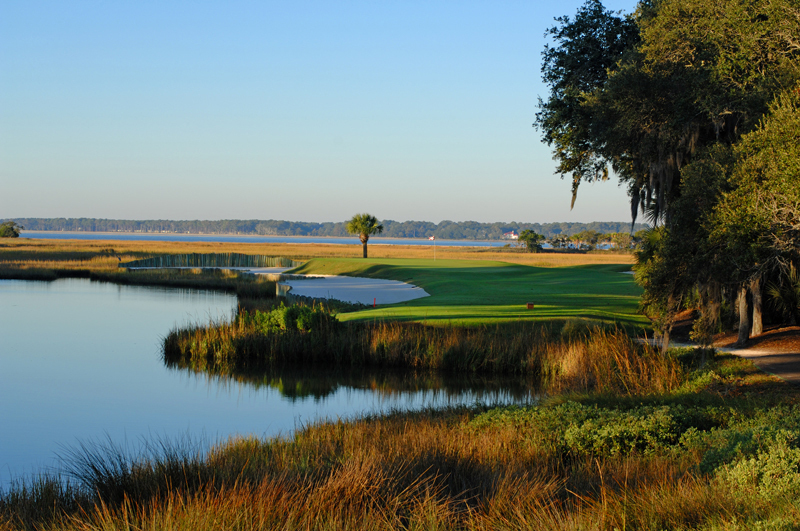 Harbour Town Golf Links is perennially ranked among the top golf courses in the world. Good scoring depends on finesse and shot making rather than strength. Well-placed tee shots and approaches are requisite to good scoring, and the well-protected greens are among the smallest of any tournament course in the country. Harbour Town’s set of par-3s rank among the finest in the world, and its par-4 18th hole is one of the most feared in all of golf, particularly when the wind is blowing off Calibogue Sound. Pete Dye’s crowning achievement as a golf course designer, the course is an innovative masterpiece and a favorite among tour pros. Harbour Town challenges you with a total yardage of 6,973 yards from the Heritage tees, with a slope of 146 and a par of 71.